It would be stretching things to say I felt like Kate Winslet but it was still quite impressive. 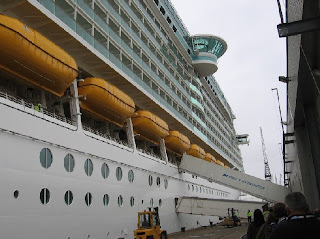 Also funny – given that this ship is basically a 14-storey, 7-star floating hotel – that we had to walk through a dingy passageway dripping with muddy water and climb up a flight of very rickety steps to get in. Some of the water bodies on the 11th floor. Spent some quality time on the deckchairs one afternoon when the sun was out; was reading a book about the world’s grisliest serial murders and it had a gratuitous and eye-catching cover so people looked at me askance, but the weather was nice. The mini golf course on the 13th floor. Morning view from my balcony. I went up on the deck shortly after this, but a strong and chilly wind was blowing so came back down in a hurry. Nothing can intimidate you as much as the ocean can, or make you feel as powerless and insignificant. Not even air travel (and I speak as a nervous flier). I kept thinking about Melville’s line about the waters around Noah’s ark not having receded, because most of the planet is still covered by water. 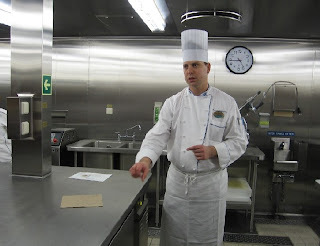 Executive chef Johann Petutschig of Austria took us on a galley tour. It’s fascinating to hear about the logistics of running a ship on this scale, the under-the-surface activity that keeps the vast machinery humming. On this liner for instance, over 250 people work round the clock in the galleys, preparing meals for 4,000-odd people. More than 80,000 plates are used up every day, 8,000 lobsters meet their maker every week, and 86,000 eggs and 13,000 pounds of beef are consumed. There's a long list of such statistics. The chef referred to the table on his right as “the most important table on this ship”. It’s here that every single dish is inspected both for taste and to ensure that it looks exactly the same as the picture on the brochure/menu-card. Perfection taken to crazy extremes. 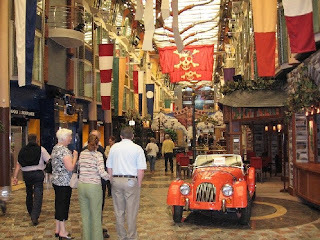 The impressive Royal Promenade, spanning the midsection of four of the ship’s 14 decks. It was done up to resemble a little street, with lots of shops, cafes and eating joints. 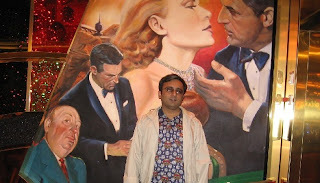 In which Cary Grant examines the fabric of my jacket while Alfred Hitchcock looks on approvingly. 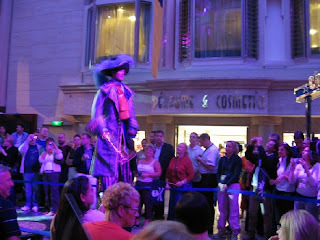 Couldn’t resist getting this picture taken in the ship’s sprawling casino. To the right is Mr Grant again, with Grace Kelly in a scene from To Catch a Thief. The expression on my face can be explained by several hours of imbibing alcoholic items. The shirt can’t be explained. A view of the theatre, where we watched a couple of very nice shows - one featuring the Tenors Unlimited (otherwise known as "the Rat Pack of opera") and a cheeky musical updating of such stories as Hansel and Gretel and Jack and the Beanstalk (in this version Jack is - literally - an upwardly mobile singer who climbs the beanstalk and gets corrupted by a corporation called Giant Records). 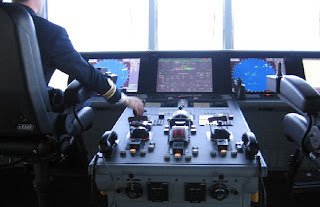 What the captain sees; the view from the bridge. I think that girl standing on the deck in the far distance is doing the “King of the World” thing, arms spread out and all. The captain at his controls. It was fun to watch him delicately twist a joystick-like thingie to the left or to the right to change the direction of a 1,60,000-tonne ship. So much for all the old ideas about Ahab and his crewmen grunting and heaving as they struggle with their boat’s controls during a storm. Our lesson for today is that technology has made the species less hardy than it used to be. What is it that you do that got you on that 7-star, 14-storied floating heaven? excellent pics and heartburn jealousy causing recounting of experiences. much heartburn has been caused. Man, that was a royal cruise!! "View from Balcony" is thrilling and I wish I could shop in that cosmetic shop.Sigh. 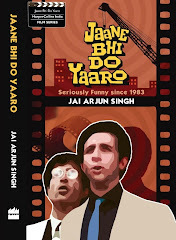 Saurabh: I say "Yes" when people call up asking if I would like to go on a cruise. Wish it had been longer though. Adi crazy: just for info, the cosmetics shop was charging 22.5 per cent VAT. Monika: if you have a say in the matter, go for Royal Caribbean or Carnival Corporation. I'm told they are better than Star Cruises. Can very well relate to the Kate winslet feeling, the insignifance due to the huge water body around you and much else that you wrote abt. 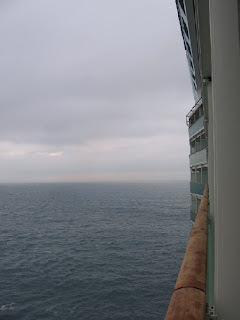 My cruise has been documented here. 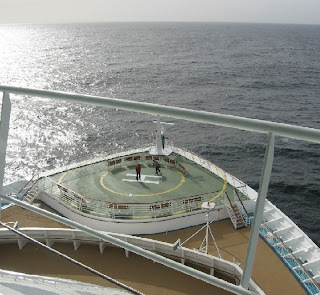 Nothing fancy but a very very exciting cruise nevertheless. 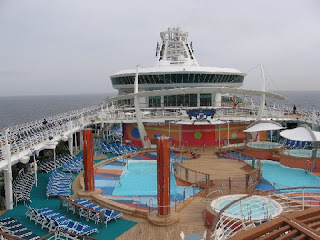 My husband and I are booked on the Liberty of the Seas-Western Carr.-7 day in september 08 - only 73 days-22 hrs before boarding-can't wait!! 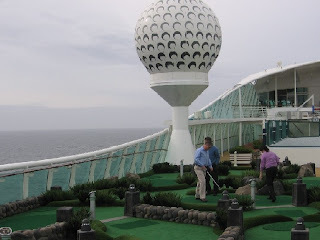 !-this is our second RCI cruise- went on the Navigator back in 04-largest ship they had at that time.